Tune in on Monday, October 30th as we dedicate 24 hours of programming to legendary trumpeter Clifford “Brownie” Brown in celebration of the 87th anniversary of his birth. In the course of only four years, from 1952 to 1956, Brown led and contributed to some of the greatest ensembles and recordings in jazz history, leaving his imprint on the genres of bebop and hard bop, as well as the art of jazz trumpet. Born in 1930 in Delaware, Clifford Brown drew much of his influence from the innovative Fats Navarro, who mentored him in his early years in Philadelphia. Much like Navarro, Brown became quickly known for his signature warm, round tone, his tasteful improvisation, and his distinct bebop sensibility. By the early 1950s, Brown was performing with the likes of Tadd Dameron, Lionel Hampton, and Art Blakey, among others. Soon, Brown had formed a quintet with drummer Max Roach, a band now renowned as one of, if not the premiere hard bop bands of the time. Tragically, in 1956, Brown died at the young age of 25 in a car accident with pianist Richie Powell and Powell's wife Nancy. 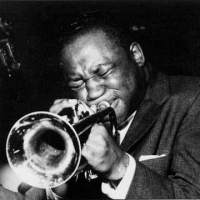 Join us at WKCR on Monday as we honor the short-lived, but incredibly significant musical career of Clifford Brown with 24 hours of uninterrupted bop!